Subject matter experts will present a refresher on Medicare Rights, Protections, and Appeals, share relevant updates, and will be available to answer questions. Members of the National Medicare Training Program will review our newest products. 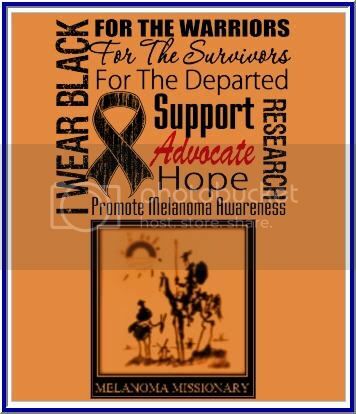 Please go to Melanoma Missionary and write to your congress Person. We need to get this movement started. I am writing this letter to ask for your help. As a constituent in your district, we need you to act, vote and rally for this cause. The Health Care System is failing us. The Drug (Ipilimumab (MDX-010) is a fully human, monoclonal antibody that overcomes CTLA-4-mediated T-cell suppression to enhance the immune response against tumors) has been fast tracked by the FDA has not been available for compassionate use for almost a year now. The company Bristol Meyers Squibb says they are having trouble making it. We are questioning their ethics. We believe that they are holding back and inflating the demand or does it have to do with the FDA approval process. This seems to be corporate greed at its finest. "Unfortunately, they also have some bad habits. For example, there were two anti-trust suits filed against them, for monopolizing the market in order to delay, or stop, the generic versions of the anti-cancer drug Taxol, and the anti-anxiety drug Buspar. The company was able to do this through manipulation of loopholes in the Hatch-Waxman Act. Under this act, brand name manufacturers list un-expired patents with the FDA in a listing, or compendium, known as the ?Orange Book?. This listing offers a reward of an automatic 30-month stay against certain potential generic entrants who have been sued for product infringement." Right now they have the monopoly on this monoclonal Antibody. Compassionate Use Trial for Unresectable Melanoma With Ipilimumab (IMEXA)This study has been suspended. We are asking for a Congressional Investigation into this matter. As you know 64,000 will be diagnosed with this terrible disease, and about 8400 will die this year alone in the U.S.
One in three will be touched by cancer in their lifetime, you may be the next. Please don’t let it fall on deaf ears. Our life depends on your help. "You remember the case: Andrew Bodnar, former Senior EVP at Bristol, pleaded guilty to a single count of lying to the FTC to hide a secret deal with Canadian generics maker Apotex. Bristol had promised Apotex that it wouldn't interfere with future generic sales, provided the copycat drugmaker agreed to postpone launching its version of Plavix. The FTC objected to that deal as, in effect, a pay-for-delay agreement. Bodnar excised that provision from Bristol's agreement with Apotex--but he made an oral promise to the generics maker, the government said. Bodnar denied it; he was charged with the crime." 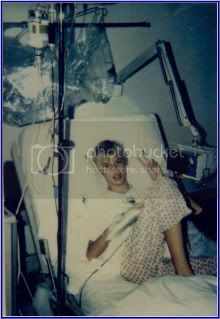 One thing I learned about being a cancer patient, is that you must understand your disease. This will enable you to make educated life and death decisions. Truly informed patients can play a more active role in decisions about their care, working with their health care providers to find options that match their needs and preferences. Like I always said, "Homework,Homework and more Homework". Two patients with inoperable prostate cancer have made dramatic recoveries after receiving one dose of an experimental drug that is creating excitement among cancer specialists. 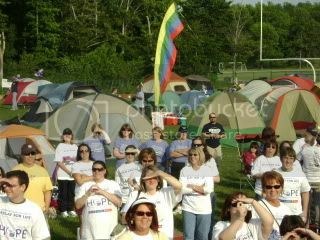 Then Check out this: Cancer Miracles!!!!!!! First, how did I get the right antigen to be presented on the Antigen Presenting Cell (APC)? 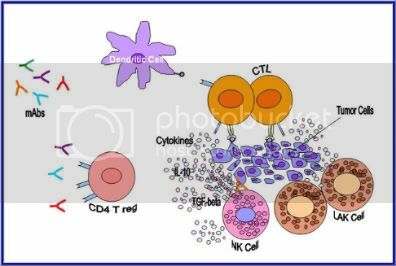 We will focus our attention on the Dendritic cells (DCs ) because I postulate that these cells played a major roll in help generating an immune response. Induced Dendritic cells go through a developental program call maturation, which transforms them into efficient antigen-presenting cells (APCs) and T-cell activators. They are the most potent of the three APCs. So what really happened? Well, Dr. Kirkwood started me out on Dacarbazine with PaTrin-2. Dacarbazine is a chemotherapy agent, approved by the FDA for fighting Melanoma. Dacarbazine alkylates and cross-links DNA during the phases of the cell cycle, resulting in disruption of DNA function, causing cell cycle arrest, and apoptosis.17 The only problem is that the Melanoma Cells overexpresses this enzyme called MGMT. Proteins known as DNA repair enzymes are present in cells to target damaged DNA and reverse the modifications caused by alkylating agents. One such enzyme is methylguanine methyltransferase (MGMT). MGMT directly reverses the chemical modification guanine, one of the four building blocks of DNA, allowing normal replication to take place. The DNA-repair enzyme MGMT is a key factor in resistance to alkylating agents. This is one reason why the Dacarbazine therapy doesn’t have a very successful response rate. The MGMT enzyme repairs what the dacarbazine cross-links. So, PaTrin-2 was added to the trial. This drug is known to inactivate the MGMT activity. By inactivating the MGMT enzyme, it makes the tumors cells more susceptible to the chemotherapy. I postulate that some failure of the tumor cells to repair the DNA damage cause by the Dacarbazine in the present of PaTrin-2 resulted in a mutation causing the cancer cells to shed an antigenic peptide. Well there is also anther protein that is overexpress in the cancer cells. It is the Bcl-2 protein. Bcl-2 has been implicated in disease resistance. If I am reading the data correctly, it is telling us that it to can be used with (DTIC) Dacarbazine to shed some antigenic protein. So If you combine the two, you are most likely will have the right antigen to present. 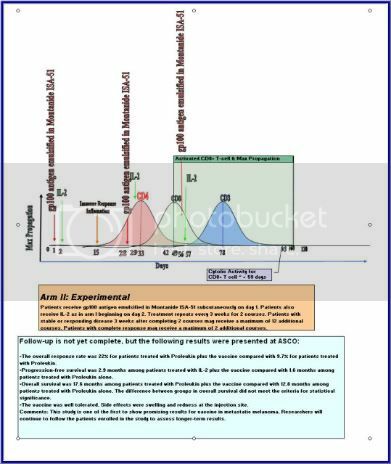 Most of this page will describe how protein antigens are presented to the immune system." To get the right immune response you most likely need Tumor-associated Antigens. Recent improvements in the Researcher’s understanding of the Immune System such as the role of costimulatory T-Cells and Antigen presenting cells has led to the renewal of the developmental efforts in Immunology of Melanoma. Monoclonal Antibodies (mAbs). The theory has been around about 100 years. According to Dr. Ehrlich’s theory, the surface of white blood cells is covered with many side chains, or receptors, that form chemical links with the antigens they encounter. 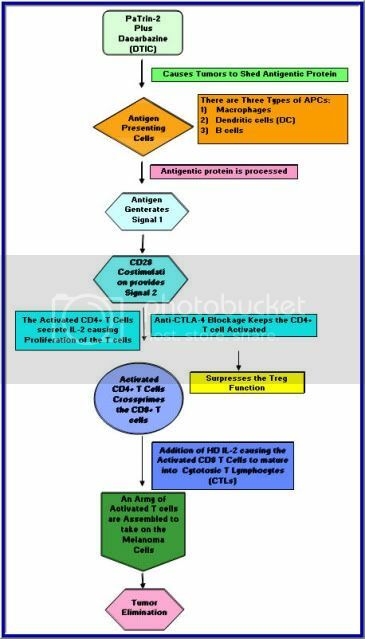 After binding of the specific antigen the cell is stimulated to produce more of the suitable type of receptor, which would then be shed into the blood stream as antibodies. 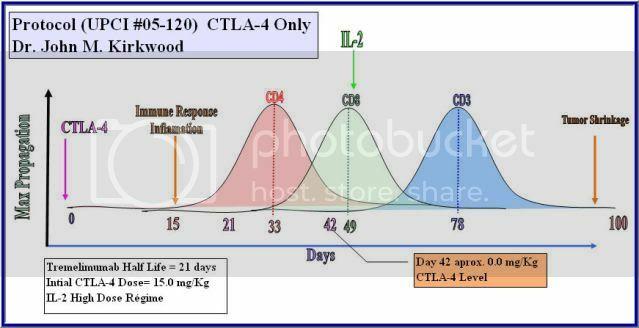 The antibody that we are interested in is the Cytotoxic T lymphocyte-associated antigen.(CTLA-4). This antigen can inhibit T-cell responses and is involved in tolerance against self antigens. It was reported back in 1970 Bretscher and Cohn put forth the two-signal model of lymphocyte activation to explain self/nonself discrimination 6This model proposes that T-cell activation requires two independent signals. As the antigen interacts with the antibody receptor on the antigen-sensitive cell also known as the antigen presenting cell (APC) (Signal 1), it performs a conformational change which in turns paralyzes the whole cell. A new signal is now invoked (inductive signal) base on the new carrier of the antigen and antibody combined. 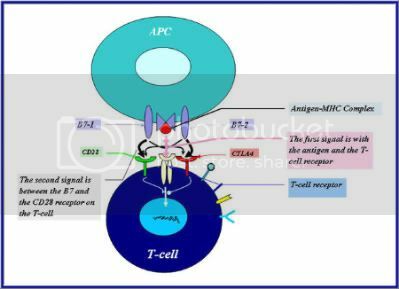 (Signal 2) The T-cell activation not only requires the T–cell interacting with the antigen-MHC complex, but also the interaction of the CD28 receptor and the B7 as well. Once activated, the CD28 signaling leads to Interluekin-2 (IL-2) gene expression which helps promotes the immune system to propagate more T-cells. That T-cell is the T-Helper cell. if it can make its way passed the microenvironment of the tumor or tumors. 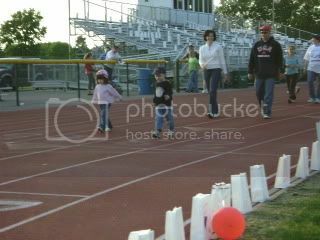 Happy Father's Day to all fathers who love their children and are trying to make a difference in their lives!!!! I have been trying to get this out to the media. Just to let you know I posted the first draft of the Melanoma and the “Magic Bullet” (Monoclonal Antibodies). on Melanoma Missionary In the Shared File Section. you can download it for 19.95 (Only kidding) it is Free for the taking. It is 33 pages long and may help you in your quest for the Yellow Brick Broad. Just to let you know it is only the first draft. Revisions are sure to come. I wanted to get it to the people that need it the most, the Melanoma Patients. So, where does Interluekin-2 (IL-2) come into play? According to Byung-Scok et al and recent reports, IL-2 is not needed for developmental CD4+ CD25+ Treg cells in the thymus but does play an important role in the maintenance and function in the peripheral.18 Peripheral is defines as secondary system outside the bone marrow and thymus. It entails the site of antigen, immune system interaction. IL-2 is required for the peripheral generation of Tregs based Abbas’s and colleagues research.19 IL-2 prevents the spontaneous apoptosis of the CD4+ CD25+ Treg cells. It has been reported that patients with multiple advance-stage tumors have elevated levels of Tregs within the tumor microenviroment.20 Interluekin-2 is the survival factor for CD4+ CD25+ Treg cells.21 If the addition of IL-2 is on or before the maximum propagation of the CD4+ T cells, the Tregs population can increase 5-fold in a 96 hour period based on certain growth mediums. By controlling the addition of the endogenous IL-2, one has a knob to turn and can lead to the control of the expansion of the Tregs. When you combined this control with the anti-CTLA-4 blockage, you can shift the balance of the immune response. Clearly in a clinical setting, timing, dose, and exposure to these drugs play a major roll in the immunotherapy, and can have dramatic effects on the outcome. All it takes is that one magic bullet to start the immune reaction. I am taking a break!!!!! This is how we should get our immune system in sync!!!!!! as the bemused passengers watch in amazement. It took 200 dancers and 4 weeks of preparation. drI am so excited I could not stay away!!!!!! So now we know what had transpired with the therapy, we need to know how and why it happened. I will try to decipher and or postulate each step of the therapy. I postulate that some failure of the tumor cells to repair the DNA damage cause by the Dacarbazine in the present of PaTrin-2 resulted in a mutation causing the cancer cells to shed an antigenic peptide. But I was still missing a signal or signals to activate my immune system. I am still here plugging away. This paper is the one of the last papers to be incorporated into my Masterpiece called "Melanoma and the Majic Bullet (Monoclonal antibodies)"
I am going to be scarce for a while so I can finnish the paper for Us. Some of you have gotten to see bits and pieces of it as I have been posting this last year. I believe it will turn heads. "Always think ouside of the box"
If it gets too hard to read, just look at the two graphs on page 2366. One graph is for the growth curve CD4+ T cells and the other is the CD8+ T cells. Check out the time line and then go back through my posts and you will find simular growth curve data base on my and Dr. Itoh's paper. So the growth curves are repeatable which makes my theory even stronger. As I will say it again, "It is all in the timing of the Addition of the IL-2"
Peptide Vaccine Significantly Improves Response in Metastatic Melanoma, but also Rasies questions. Question- How does high-dose IL-2 induce tumor regression? "With over 20 years of study, we still don't have an answer." Answer_I have a theory: The NaiveCD4 + the helper T cell, when activated, the Helper T –cell secretes mostly IL-2 which promotes growth and proliferation, and activation of T-cells, helper T cells and Natural Killer Cells. Once the helper cells mulitply, they start secreting other cytokines base on their costimulatory signals., concentration of antigen, and exposure to their microenviroment. This attracts more immune cells and the assault on the foreign invader begins. 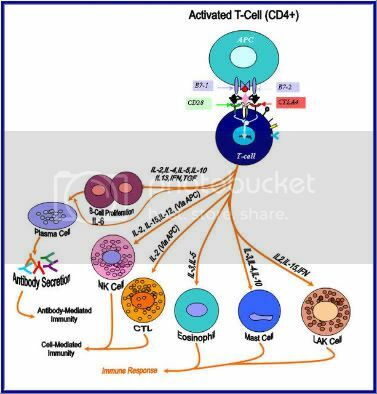 The HD IL-2 helps activates the CD4-T cell.Cell to to cell comunication. At the Lymp Node drainage area, the lymphocytes (CD4+ and CD8+) with their T-cell receptors (TCRs) are able to scan the Dendtric cells (DC’s) for antigen-MHC molecules. (ag-MHC) major histocompatability complex (class I or II). Based on the two signal model, a second signal from CD28 molecule is needed to activate the T-cells (T-lymphocytes). If communcation breaksdown, and the TCR signal only happens, it can lead to tolerance by means of fuctional paralysis of the (APCs) Antigen presenting cells (Anergy) or by the induction of clonal deletion (apoptosis). Anergic cells can act as regulatory T cells by competing at the sites of antigen presentation and adsorbing out stimulatory cytokines such as IL-2. This can halt the activation of the T- lymphocytes and no immune response is initiated. But after activation of the CD4+ T cells and growth of the T- cells, they cross-prime the CD8+ T cells and in the presence of HD IL-2 mature into (CTL) Cytotoxic T lymphocytes. Cross-priming is another name for cross-presentation. The role of the CD8+ T cells is to monitor all the cells of the body, ready to destroy any that express foreign antigen fragments in their class I molecules. CTLs have cytoplasmic granules that contain the proteins perforin and granzymes. When the CTL binds to its target, the contents of the granules are discharged. A dozen or more perforin molecules insert themselves into the plasma membrane of target cells forming a pore that enables granzymes to enter the cell. Granzymes are serine proteases. The serine proteases are a family of enzymes that cut certain bonds in other proteins. It is similar to what is in your laundry detergent. They are known as detergent enzymes. They break the bond between the dirt and the fabric. By breaking up these proteins, they start destroying the intracellular workings of the tumor cells. Question- How do gp100 peptides improve outcomes of high-dose IL-2? Answer-My guess, They attach to the Antigenic protein and form some sort of a complex and when the complex is processed by the Antigen Presenting Cell you now have more antigenic fragments then you would other wise, which means activating more T-cells improving the microenvironment. The answers are base on my research and intuition. FasterCures submitted the below comments on the prioritization criteria and strategic framework developed by the Federal Coordinating Council for Comparative Effectiveness Research. Now is the time to get your voice heard. We as Cancer Patients can Move Mountains. Please send in your comments. Your opionion Counts. The immune system protects against pathogens that penetrate the physical barriers of the skin and mucous membranes lining the digestive, respiratory, and reproductive tracts. It is subdivided into the innate and the adaptive immune systems. These two systems work differently, but collaboratively, to provide a powerful defense against microbial invaders. Increasing evidence suggests that the immune system also plays a role in detecting and eliminating tumor cells, and can be manipulated therapeutically against cancer. The innate immune system provides a rapid but nonspecific response to the most common foreign pathogens.1 This system, in some form, is present in all animals, and some elements of it have existed for more than 500 to 700 million years.2 Cells of the innate immune system have specialized receptors (eg, Toll-like receptors) that recognize molecular structures or patterns that are characteristic of—and often indispensable parts of—common pathogens.3 As such, they recognize these pathogens immediately, even without having encountered them previously, and can react promptly. Disadvantages of the innate immune system are that it can recognize only a limited number of molecules, has limited ability to recognize viruses once they have entered normal cells, and has no "memory" and therefore cannot provide lasting protective immunity against these molecules. These cells lie beneath exposed surfaces of the body (ie, the skin and mucosal barriers) and can survive for years. Their best-known function is to provide a defense against parasites. Mast cells are phagocytic and also contain granules of chemicals, most notably histamine. Eosinophils are poor phagocytes but do carry granules. When a mast cell or eosinophil detects a parasite, it "degranulates," that is, it unloads the chemicals. This moring I was emailed by a fellow patient that is having trouble with the medical finances. Who wouldn't. Anyway, I suggested this. "May I suggest you write to your congress people and the Attorney General for your state and Medicare. 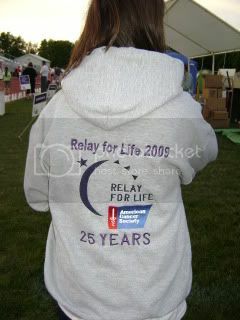 Give them all your information ant tell them you are being discriminated against because you are a cancer patient,. I don’t believe that they Insurance can do that. You need to find a patient advocate in your area." Then I got a reply, How do you get a patient Advocate? Then it hit me. I didn't give out any tools to do so. So now, on the Melanoma web blog there is help. If you need it, It is there. I tried it out and it is easy. Check this out!!! I wrote to my congressmen. 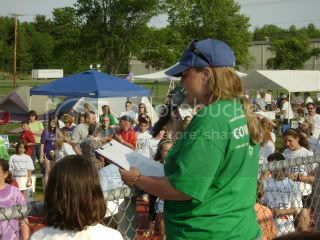 As a constituent concerned about patient access to life-saving treatments, I am writing to ask that you support the Access to Cancer Clinical Trials Act of 2007� (HR 2676) sponsored by Congresswoman Deborah Pryce. This legislation is vital for cancer patients throughout the country that struggle to receive treatment and/or struggle to meet their financial responsibility. I am well aware that for many patients, clinical trials are not even an option if they are faced with a cancer diagnosis because their insurance refuses to pay for the treatment. For others, the burden of mounting co-pays for healthcare services related to their participation in a clinical trial determines their inability to participate. I feel very strongly that an individual with a cancer diagnosis should focus on their treatment and quality of life, not on coverage of services and escalating debt. There are 10 million Americans living with cancer and another 1.5 million more who will be diagnosed with cancer this year. As the opportunities to enroll in clinical trials decrease due to funding cuts, coverage for participation in clinical trials and coverage for routine costs associated with clinical trials is necessary in order to make scientific advances. In order to promote innovation, we need to do everything we can to encourage individuals to enroll in clinical trials and HR 2676 provides an opportunity for many patients to enroll in clinical trials that could save their lives. I support the principle that providing coverage and reimbursement for services are essential for developing new treatments for cancer and I hope you will support this legislation and patient�s access to life-saving treatments. So Now we have a Voice!!!!! Patients with advanced melanoma experienced higher response rates and longer survival without cancer progression when treated with an experimental anticancer vaccine in addition to standard therapy. These were the preliminary findings from a Phase III clinical trial presented at the 2009 annual meeting of the American Society of Clinical Oncology (ASCO). Patients with metastatic melanoma are usually treated with a combination of chemotherapy and immunotherapy. Chemotherapeutic agents with activity include dacarbazine, temozolomide, cisplatin, vinblastine, thalidomide, and docetaxel. Immunotherapy agents include interferon-alfa (INF-alfa) and Proleukin® (interleukin-2,IL-2). However, because most therapy is palliative, tolerability of treatment is a significant factor. Recently, researchers have emphasized the development of tolerable regimens. Proleukin in high doses is an FDA-approved drug for the treatment of metastatic melanoma. However, Proleukin produces responses in only a minority of patients and at high doses is associated with significant toxicities. There have been innumerable studies performed over the past two decades to improve the response rate and decrease the toxicities of Proleukin-based regimens for the treatment of melanoma. Despite all of these efforts, biologic therapy or combined biologic and chemotherapy still benefit only a minority of patients with melanoma. Various vaccines have been tested in patients with melanoma, but none have been approved for this use by the U.S. Food and Drug Administration. In the current study, researchers evaluated an experimental anticancer vaccine known as gp100:209-217(210M) peptide. The vaccine acts by stimulating T cells to attack melanoma cells. This study enrolled 185 patients with Stage IV or locally advanced Stage III melanoma. Study participants were assigned to receive treatment with Proleukin alone or with Proleukin plus the vaccine. •The overall response rate was 22% for patients treated with Proleukin plus the vaccine compared with 9.7% for patients treated with Proleukin. •Progression-free survival was 2.9 months among patients treated with IL-2 plus the vaccine compared with 1.6 months among patients treated with Proleukin alone. •Overall survival was 17.6 months among patients treated with Proleukin plus the vaccine compared with 12.8 months among patients treated with Proleukin alone. The difference between groups in overall survival did not meet the criteria for statistical significance. •The vaccine was well tolerated. Side effects were swelling and redness at the injection site. Comments: This study is one of the first to show promising results for vaccine in metastatic melanoma. Researchers will continue to follow the patients enrolled in the study to assess longer-term results. Reference: Schwartzentruber DJ, Lawson D, Richards J et al. A phase III multi-institutional randomized study of immunization with the gp100:209-217(210M) peptide followed by high-dose IL-2 compared with high-dose IL-2 alone in patients with metastatic melanoma. Journal of Clinical Oncology. 2009;27:15s, abstract CRA9011. Do you reconize the graph, you should . Now Look closely at the timing of the addition of IL-2. Do you see a major problem????? It (IL-2) is being added before and close to the maximum propgation of the CD4+ T cells. This means they are growing the Tregs cells which we want to deplete or surpress. The teleconference will focus on the latest information on immunotherapies of melanoma. Whether you are newly diagnosed or are years after diagnosis, this program will provide quality information about melanoma. The conference is intended for patients with melanoma or friends or family member so that you have the information you need to understand melanoma from diagnosis, to treatment, to long term follow up. Join us for a free teleconference, Update on Immunotherapy of Melanoma, from 1:00 pm to 2:00 pm Eastern Standard Time (EST) on July 15, 2009. After Dr. Wolchok’s presentation, there will be time for live question and answer period. Dr. Jedd Wolchok, is an Assistant Attending Physician at Memorial Sloan-Kettering Cancer Center. Dr. Wolchok is a member of the faculty of Memorial Sloan-Kettering Cancer Center with expertise in the treatment of metastatic melanoma. His specific research interest is novel immunologic therapies and he has been involved in the development of the DNA vaccine program at every level, from pre-clinical studies in mouse models through clinical trials. He has authored numerous articles concerning DNA vaccines and clinical care of melanoma, and he co-authored two chapters in the definite textbook, Cutaneous Melanoma. Dr. Wolchok received his advanced education at New York University where he earned an M.D. as well as a Ph.D. in microbiology. Dr. Lynn Schuchter is a Professor of Medicine. She is the Director of the Melanoma Program at the Abramson Cancer Center of the University of Pennsylvania as well as the Director of the Clinical Research Unit at the Cancer Center. Dr. Schuchter’s research focuses on a new approach to cancer treatment for patients with melanoma known as molecularly targeted therapy. Dr. Schuchter is also involved with numerous cancer vaccine trials. She is the Co-Principal Investigator of the Skin Cancer SPORE grant at the University of Pennsylvania/Wistar Institute. Dr. Schuchter completed her oncology fellowship at the John’s Hopkins Cancer Center. She joined the faculty of the University of Pennsylvania in 1989. Dr. Schuchter is on the Melanoma Research Foundation Board and is the Chair of the Scientific Advisory Board for the MRF. After the presentation, Dr. Wolchok will answer your questions. Thanks to Dr. Megan Levings for taking time out of her busy schedule to email me her research paper on Tregs cells. In my research, I have come to the conclusion that that major barrier to initiating an immune response is over coming the Treg suppression. Remember I said “BLAME IT ON THE TREGS”, well most of the research finding are supporting this piece of the Melanoma Puzzle. Levings and colleagues want to harness the Tregs to develop adoptive cellular therapy protocols that would be used in autoimmunity and inflammation. So they wanted to grow the population of Tregs. We on the other hand want to deplete/suppress them, to push the balance towards an immune response. The Tregs constitute only 1-2 % of the peripheral CD4+ T cells in humans, but is enough to keep the immune system in check. In in-vitro culture conditions, they can expand rapidly when stimulated with an antigen. If you throw Il-2 into the mix, It can increase the cell population by 5-6 fold. This means that the Treg population when activated and Il-2 is secreted or added like (HD IL-2), is now at 10 to 12 % of the population. This can quickly shut down the immune response. So the Takeaway is that one must plan when to introduce the Il-2 to the therapy. So Lets follow nature. Il-2 Is secreted after the CD4+ T cells are activated. THIS MEANS TIMING OF THE IL-2 IS CRUCIAL TO GENERATING A RESPONSE. How Long do we want to hold off before inoculation of the IL-2? We need the growth profiles of each of the CD4+ T cells. Based on the data gather by Itoh and Colleagues we want to add the Il-2 at the Maximum propagation of the CD8+ T cells. 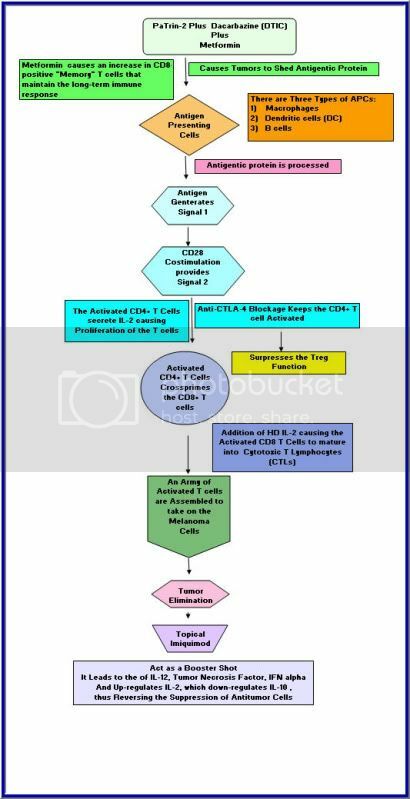 I t has been reported that when the CD8+ T-cells are grown in the presence of Il-2 , they develop in to (CTL) Cytotoxic T Lymphocytes. That is just what we wanted. In 1988, a paper was published “Autologous Tumor Specific Cytotoxic Lymphocytes in the Infiltrate of Human Metastatic Melanomas Activation by Interleukin 2 and Autologous Tumor Cells, and Involvement of the T Cell Receptor “ by Itoh and Colleagues. In their studies, they propagated (TILs) Tumor infiltrate lymphocytes cells from 12 Metastatic Melanoma patients. They preformed kinetic growth studies in IL-2 and even broke it down three Surface markers (CD3, CD4 and CD8). Base on the above data, it would take about 49 days for my activated CD8+ T cells to reach maximum propagation. Then add the IL-2. So now lets see My actual timeline. They Always said Timing is Everything!!!!! Health Disparities: A Case for Closing the Gap. "Too many Americans are suffering under a health care system that does not work for them. Americans in minority communities have higher levels of disease, fewer medical options, and worse outcomes. That’s why, today, I will be at the White House participating in a Health Care Stakeholder Discussion, focusing on how health reform can reduce health disparities and fix the status quo. " You can watch the event live today at 12:00 PM EDT by visiting http://www.healthreform.gov/. While you are there, you can also read a new report being released by U.S. Department of Health and Human Services, Health Disparities: A Case for Closing the Gap. Since we are in the dawn of Personalized Medicine, I thought you might want to bookmark this sight. "The Genomic Applications in Practice and Prevention Network (GAPPNet) is a collaborative initiative involving partners from multiple sectors who are working together to realize the promise of genomics in healthcare and disease prevention. GAPPNet was formed by CDC’s Office of Public Health Genomics, NCI’s Division of Cancer Control and Population Sciences, and other stakeholders in 2009." "GAPPNet aims to accelerate and streamline effective and responsible use of validated and useful genomic knowledge and applications, such as genetic tests, technologies, and family history, into clinical and public health practice." The Team that Adopted Me!! Scientists make strides in finding ways to slow tumor growth !!! FRIDAY, June 5 (HealthDay News) -- A protein called PHD2 that regulates blood vessel growth is often found at lower-than-normal levels in tumors, say researchers who analyzed levels of the protein in tumor samples and healthy tissue. When they blocked the expression of PHD2, researchers at Stanford University School of Medicine in California found that human cancer cells grew more quickly when implanted into mice and there was an increase in the number of blood vessels feeding the tumors. To grow and spread, tumors require a good supply of blood, the study authors noted in a Stanford news release. Further investigation revealed that blocking PHD2 expression increased levels of two other proteins -- IL-8 and angiogenin -- that play an important role in blood vessel formation. Blocking the activity of these proteins may slow tumor growth, the researchers said. "Prior to this study, it was unclear which of the many proteins involved in vessel growth, or angiogenesis, should be targeted. But now we know they play a predominant role in tumor growth," Amato Giaccia, a professor of radiation oncology, said in the release. In the next phase of their research, Giaccia and colleagues will study whether mice that lack PHD2 expression develop more aggressive tumors, and whether blocking IL-8 or angiogenin slows tumor growth. 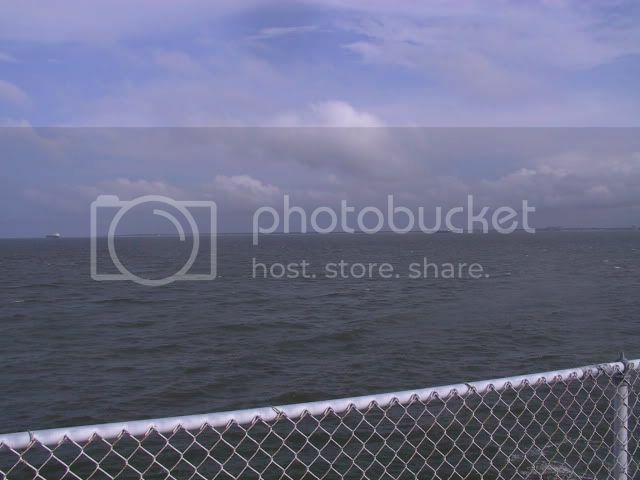 As Columbus would have said ,"I Think we can see Land!!!! Remember I went to United Kingdom virtually to scour the research papers Last year? bone marrow cells of MGMT knockout mice are significantly more sensitive to the toxic effects of temozolomide than those from MGMT wild-type mice (2). The protective role of MGMT against the cytotoxic effect of temozolomide has been shown in human cell lines (3) and human xenograft models (4). That is why, and I forgot to tell you that I did a trial with Patrin and DTIC Prior to CTLA-4 Blockage Therapy. "What we can learn from individual patients is often overlooked in oncology," he said, adding that many of these remarkable cases have led to the development of new treatment strategies for melanoma such as vaccinations against specific antigens and bone marrow transplantation. "From clinical observation, we can learn a lot from these remarkable cases." This my Theory to Date as of 6/5/2009. I will be sending out a Very, Very long list of ACKNOLOGEMENTS. "In melanoma patients treated with CTLA-4 blockade, not only were more T cells specific for melanoma antigens present, but those CTL were more likely to be polyfunctional — thus more likely to be effective at destroying the tumor — and those patients were much more likely to have regression of their tumors than in people without CTLA-4 blockade. “Don’t ever give up. 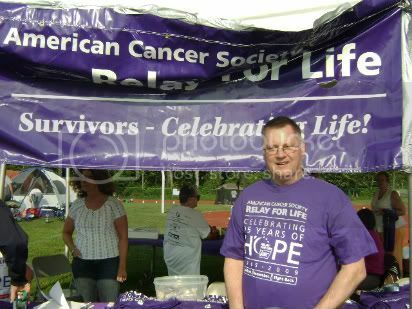 Don’t ever give up.” “Cancer can take away all my physical abilities. It can not take away my mind, it can not take away my heart, and it can not take away my soul”. I have so many papers that I don't recall where I got the above quote. My Hope is that this doesn't fall on deaf ears. I guess having diabetes is good for something!!!!! I have been taking metformin for years. I guess it is worth the COPAY. Study Shows Metformin Maximizes Immune Memory. June 3, 2009 -- The diabetes drug metformin may make vaccines work better, exciting new studies suggest. "These findings were unanticipated, but are potentially extremely important and could revolutionize current strategies for both therapeutic and [preventive] vaccines," University of Pennsylvania researcher Yongwon Choi, PhD, says in a news release. Choi's team wasn't initially interested in diabetes drugs -- and wasn't trying to improve immunizations. The scientists were trying to figure out how the immune system remembers disease-causing agents so that it can mount a rapid immune response the next time it sees that agent. This so-called immune memory depends on cells called memory T cells that lurk in the body, becoming active only in the presence of the pathogen they're programmed to recognize. During an infection -- or after an immunization -- the body mounts a massive T-cell response to fight off the invasion. These T cells go away after the threat is neutralized, but a few of them survive to become memory T cells. How this happens has been a mystery. Choi's team found that memory T cells survive by switching their fuel supply. Instead of burning glucose, as most cells do, they start burning fat. The researchers bred a strain of mice that lacked the ability to switch fuel sources, and these mice could no longer make memory T cells. One of metformin's effects is to help cells burn fat. When Choi and colleagues gave metformin to the specially bred mice, the drug restored the animals' ability to make memory T cells. This led the researchers to wonder what would happen if they gave metformin to normal mice. So they injected the mice with doses of an experimental cancer vaccine that, under normal circumstances, does not protect the animals. But in mice given metformin, the vaccine was vastly more effective at preventing cancer. "The finding was very unexpected. We were lucky," Choi tells WebMD. The serendipity may pay off in big ways. "The findings do not mean that if you take metformin you automatically have better memory responses," Choi says. "But this widely used drug might enhance vaccination programs. If we combine our finding with those strategies, we may be able to improve vaccine efficacy." Choi and colleagues report their findings in today's advance online issue of Nature. Follow the Yellow Brick Road!!! Well here are all the outside pieces to the Melanoma Puzzle. Now this may not work for every one but it did work so far for me. My last hurtle was how did my Immune system have the right antigen to present. Without that piece of the puzzle, there would be no effective response. Bobby Luker, this is for you and everyone who is still on the Yellow brick Road. Establishment of an immune response against Melanoma cancer may depend on the capacity of dendritic cells to transfer tumor Antigens (Ags) into T cell-rich areas. Most Melanoma tumors are accepted by the host’s immune system and progress even when they contain potentially antigenic proteins. Analysis of this response may help to understand how most tumors escape immune rejection. Overexpression of the anti-apoptotic protein Bcl-2 in Melanoma cells prevented the development of an antitumor immune response. This suggested that induction of a specific immune response involved the release of antigenic proteins from tumor cells undergoing apoptosis. O6-methylguanine DNA-methyltransferase (MGMT enzyme) overexpression in melanoma cells also induces resistance to Chemotherapy. This increased DNA-repair activity in tumor cells has been associated with resistance to treatment to DNA-directed drugs, while defects in DNA repair pathways result in hypersensitivity to these agents. In the past years the unraveling of the molecular basis of these DNA pathways, with a better understanding of the DNA damage caused by different anticancer agents, has provided the rationale for the use of some DNA repair inhibitors to optimize the therapeutic use of DNA-damaging agents currently used in the treatment of tumors. In addition, the possibility to specifically target the differences in DNA repair capacity between normal and tumor cells has recently emerged as an exciting possibility. In a model using melanoma cells in mice, phagocyting cells were observed to be attracted at the injection site and ingest tumor cell fragments. It has been recently demonstrated that dendritic cells selectively recognized and captured apoptotic cells and cell fragments liberated following apoptosis. Moreover, antigenic proteins that were contained in apoptotic bodies and engulfed by dendritic cells were shown to be 1–10,000 times more efficient in generating MHC-peptide complexes than preprocessed peptides. So with all this in mind, we need the tumor to shed some antigenic proteins/fragments to be used by the Antigen Presenting Cells. (APCs) undergoing apoptosis. This was one of last pieces of my puzzle that I will share wth you soon. I am so excited, I hope I can get some sleep. "I have been going to ASCO for years and I’m still waiting for that “a-hah!” moment when somebody presents something for melanoma that is so revolutionary and effective that we all have something tangible and exciting to come home with and build on in the future. I feel like we are getting closer as a “melanoma community.” I know that in my own clinical experience and current practice, I am able much more frequently to walk into someone’s exam room and tell them, congratulations, the tumors are shrinking. Honestly, there were many years where that **never** happened. The closest we came in my career was the early data from about 2004 on Sorafenib/Nexavar, but that has melted away with larger scale, multicenter studies and is just a footnote at this point. I will provide more detailed updates in other posts, but unfortunately there are no new treatments that show undeniable improvement over existing treatments. There are a few things that suggest the potential for improved therapy, but these are best described as “hypothesis-generating” or in other words, deserving of further, large scale, testing. I know that this is frustrating to the melanoma patient community also; we’re just not there yet. We have new drugs coming down the road and they do have promising early results but the emphasis has to be on the word, promising. The two take home words this year from the ASCO melanoma presentations were “Biomarkers” and “Targeted therapy”. In that regard, I don’t think the melanoma talks were that different from other disease areas. Biomarkers are things that can be measured, either in the blood or tumor tissue (or even in normal tissue) that classify an individual’s cancer by its behavior or potential to resp0nd to specific therapies. A biomarker could also monitor a patient’s response to therapy. A good example of this is the PSA level for prostate cancer. Finally, biomarkers could also identify patients either at risk for bad outcomes or those likely to respond to specifc treatments. Targeted therapy refers to drugs that alter cellular biochemical pathways that are believed to influence a cancer cell’s ability to survive, grow, and/or resist therapy. Presumably, targeted therapy would have fewer side effects that standard chemotherapy but this exaggerates our true knowledge about these various pathways and their role in normal, non-cancerous, tissue. The other caveat about targeted therapy is that many of the ones that look most promising (to me) act by increasing cancer cells’ responsiveness to standard chemotherapy. As a result, these targeted agents often have no effect by themselves (ie monotherapy) and require simultaneous (concurrent is the medical word) chemotherapy drugs which obviously cause a range of side effects. As you read my other summaries of ASCO papers and posters, keep biomarker and targeted therapy in the back of your mind; they came up over and over again"
WE NEED TO FIND THE “a-hah!” MOMENT!!! I personally think we are getting closer. 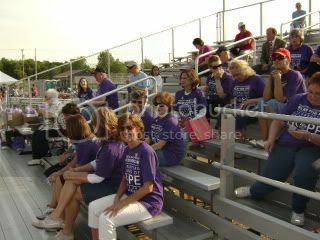 As our fellow carepage friend Jen has said, " DON'T STOP BELIEVING!!!!" Plexxikon Inc. today announced preliminary data from a Phase 1 clinical study investigating PLX4032 (R7204). PLX4032 is a novel, oral and highly selective drug that targets the BRAF V600E cancer-causing mutation that occurs in most melanomas and about eight percent of all solid tumors. In patients whose cancer harbors this mutation and who were treated with therapeutic doses of PLX4032, tumor shrinkage and extended progression-free survival have been observed. Currently, two extension studies are being conducted in mutation-positive melanoma and colorectal cancer patients. Following the initial positive findings announced today, larger clinical trials to support a registration program for product approval are targeted to start later in 2009. Plexxikon and Roche are co-developing PLX4032 under their 2006 license and collaboration agreement. In the dose escalation phase of the study, 55 cancer patients have been treated, including 24 mutation-positive melanoma patients and 3 mutation-positive thyroid patients, as well as 28 melanoma, rectal and ovarian cancer patients who did not have the mutation or whose mutation status was not known. By contrast, no treatment response was observed in a small group of patients without the mutation, and progression-free survival was less than 2 months, consistent with historical data. Dose-limiting toxicities, primarily rash, fatigue and joint pains, were seen at 1120 mg BID. Drug-related adverse events have been predominantly mild in severity and transient, including rash and photosensitivity. Serious adverse events were observed in some patients after chronic treatment, including possibly drug-related cutaneous squamous cell carcinoma. A risk management plan has been implemented for baseline evaluation of the skin and monitoring of all patients while on study. Cutaneous squamous cell carcinoma is typically excised by a patient’s dermatologist. Along with the development of PLX4032 therapy, a diagnostic test to identify patients with the BRAF mutation is being co-developed by Plexxikon and Roche, under a separate 2005 agreement. This test is already being used to identify mutation-positive patients for ongoing clinical trials. Most importantly, this companion diagnostic enables the identification of mutation-positive cancer patients considered most likely to respond to PLX4032 treatment.